You’re an entrepreneur in a technical field. Or maybe you’re a scientist. Or how about an engineer? 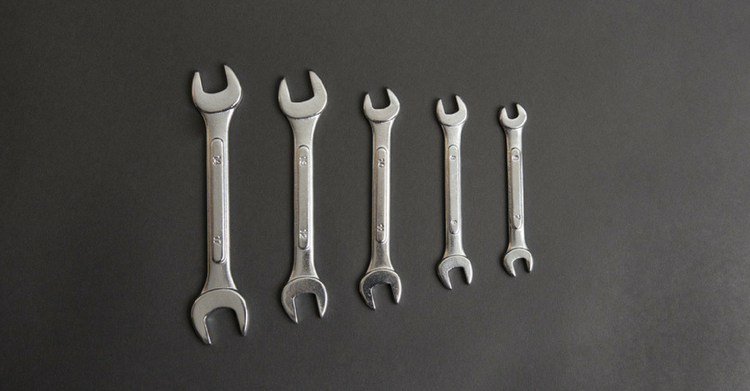 If your work is what most people would call ‘technical’ – in other words, it’s difficult for the average Joe to understand – writing a business book about it is always going to be a challenge if you want it to be appreciated by a general audience. After all, you don’t want to be the author of a book that only a handful of people can understand. So how do you get across your expertise, thereby building your authority through your book, when you’ve got complex and tricky information to impart? What’s the secret to explaining your topic so everyone ‘gets’ it? And – the biggie – how do you do this so it keeps people reading, rather than abandoning it as ‘too difficult’? As a business book ghostwriter for experts and entrepreneurs, I’m often tasked with communicating detailed, technical information in an interesting and understandable way for a wide audience. In fact, I’m ghostwriting a memoir for a reknowned scientist right now, which is what prompted this post. The action you take as a result of reading my tips below will depend on what you’re trying to achieve with your technical explanations in the first place. Your reason may be one or more of these, or possibly you have another one (let me know in the comments). Once you’re clear on your reasons for imparting the information, you’ll find it much easier to decide how to handle it because you’ll know the effect you’re trying to create. Once you’re clear on this, you can ensure you explain it up front. Then, even your readers don’t fully appreciate what’s to follow, you’ll be confident they’ve grasped the main principle at stake. For example, if you’re an app engineer, your readers may need to know first and foremost what the main technical difficulty is with creating an app – the big challenge you have to overcome each time you develop one. Once your readers understand this (and there are many interesting ways of putting it across), they’ll have a context for what’s to follow. Several years ago I worked as a freelance social media manager. I wrote and posted about a wide variety of social media topics in order to promote my expertise, and because I knew my stuff I naturally veered towards the more advanced topics. ‘That’ll show everyone I’m an expert,’ I thought. After a while I realised the most comments and retweets came from my more basic posts. This was an ‘aha’ moment for me, because it taught me what my audience really wanted. Writing about the high-level elements of social media was going too far, because I’d lost sight of how much more I knew than my readers. There’s nothing more likely to make you go ‘tech blind’ than being an expert. So when you’re writing about your topic, mentally downgrade your expertise by several steps so you don’t blind people with science. If you’re not sure whether you’re pitching your writing at the correct level, ask someone who knows only a little about your topic to read a draft. Their feedback will tell you all you need to know. Having said that, remember your readers have chosen your book because they want to learn something new. They want to feel a little challenged, and to feel like an expert in something they knew nothing about before. It’s pretty cool when you can explain to your friend how frogs reproduce, or how the inner workings of a digital clock were developed, right? So don’t shy away from using some detailed technical explanations and references, along with a smattering of jargon and acronyms (as long as you explain what they mean). You’re giving the gift of your experience to others. Just remember to give an appropriate context for each explanation so your audience can make sense of it. They want to know why you’re telling them this, and what makes it matter. If you can’t think of a reason, that’s a sign you’re indulging yourself in unnecessary information. This article in the New Yorker by Malcolm Gladwell is an excellent example of a piece of writing which includes a wealth of detail and statistics, but at the same time puts them in an interesting and easy to understand context. Don’t be afraid to break away from your technical explanation to address your readers direct. This helps to vary the tone, and affords you the opportunity to expand on what you’ve just said. You can also break up your writing up by interspersing the factual areas with other material. See below for ideas on how to do this. Telling a story with your data can be extraordinarily effective. First of all, set the scene: what’s the underlying situation your readers will need to know in order to understand your information? Next, add some drama. What’s at stake? Why does knowing this matter? Finally, bring it to a close. What have your readers learned? What did you discover when you first came across this? And why does it matter now? Other ways to make your technical information more interesting include using analogies, metaphors, and imagery instead of plain explanations. See this excellent post by Smartblogger on how to develop the perfect analogy for your needs. Or what about quotations? Here’s one of my favourites about a technical field: ‘If the universe is expanding, why can’t I find a parking space?’ (Woody Allen). Adding golden nuggets of information your readers can use to impress their friends is a sure-fire way of spreading the news about your book. For instance, someone recently told me that not a single life had ever been saved by the use of a life vest on a commercial airline flight, because no large plane can land on the sea. I have no idea if this is true (! ), but it’s the kind of quotable factoid that would get around at dinner parties. Do you have a little-known piece of information you could give away to your readers? It might be something you take for granted, but would be an eye-opener for them. There’s no reason to hide your light under a bushel just because your subject is technical and supposedly ‘boring’. I can assure you, nothing is difficult to take in if written about in the right way. All it takes is for you to see your topic through your readers’ eyes, and to write for them, not yourself. There’s no stopping you now. If you’d like to talk to someone who’s written about any number of technical subjects in a clear and engaging way, that would be me! Why not apply for a free strategy session and we can explore how this would work for your book. 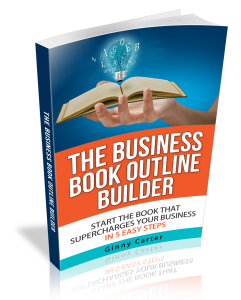 Ginny Carter is a business book ghostwriter and book writing coach. She’s on a mission to turn speakers, coaches and experts from aspiring authors to actual authors with the credibility to charge more for what they do. Do you want to get seen, heard and hired with your own book? Claim your free guide How to Stand Out as an Expert With Your Own Book here.